I’m waaaaaay behind in commenting on SFSignal’s round-up of SF/F releases from October, but I didn’t give up on it! There were only 306 books to consider, so it should have been relatively easy, but there seemed to be an unusually large number of books that made the first cut, as well as the final cut. Anyway, here are the 14 books that I found most interesting. Ann Leckie, Ancillary Sword. 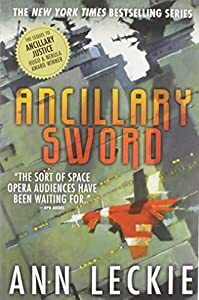 The sequel to last year’s terrific, multiple-prize-winnning Ancillary Justice gets off to a good albeit typical start for a space opera: a captain readying her ship and crew for a new mission. The situations, observations, and character interactions in the preview are all nice, so I’m very hopeful about the whole. 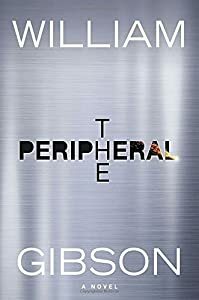 William Gibson, The Peripheral. I like it when Gibson focuses on technology and aesthetics, which is most of the time, so I was happy with this preview. There’s a steady stream of cultural/technological extrapolation here into the near future, and although I can’t say many of the earliest examples are really surprising, there’s plenty of reason to be optimistic. 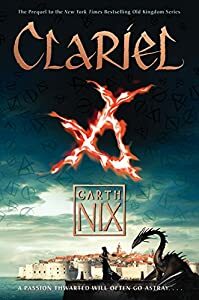 Garth Nix, Clariel: The Lost Abhorsen. 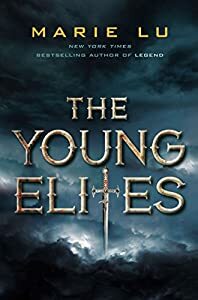 The fourth novel in Nix’s Abhorsen / Old Kingdom series, this one begins well, dropping plenty of intriguing offhand references to setting details into clean, engaging prose. I’ve never read this series, but I’ve certainly heard about it from sources I appreciate, and now I’m interested. 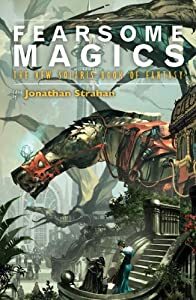 I also enjoyed another piece by Nix this month: his story in Fearsome Magics, edited by Jonathan Strahan. It’s set in a different fantasy milieu that features Sir Hereward and Mister Fitz, a weird god-killing pair of mercenaries who seem pretty great, and I’m willing to pick it up on the strength of that story alone. 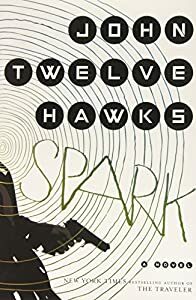 John Twelve Hawks, Spark. This preview about a hired assassin suffering from Cotard’s syndrome (i.e. he thinks he’s already dead, or at least just a shell of a person) has a hard-boiled quality to it that I liked, but the idea that there’s still a “bright and pure and transcendent” spark inside the shell somewhere strikes me as very reminiscent of the divine spark concept associated with Gnosticism. It’s an interesting combination of possibilities, and I hope it pays off in the book. Steven Brust, Hawk. Yay! I see Vlad is back in Adrilankha again, and this story is rumored to finally move the overall arc forward again. I’ve been reading this series for … almost thirty years? Wow. Anyway, I had become convinced it would never move forward again, because it looked like Brust had settled into writing a pattern more commonly found in crime novels where a troubled but likable first-person narrator just gets presented in some new situation every year or so, gets beaten up, does some beating up, and that’s that. Fine as far as it goes, and I don’t blame anyone for liking it that way, but this series has questions and long-standing issues that really merit some resolution. I don’t imagine this will wrap everything up, or I think I’d have heard, but maybe it’s something. Patrick Rothfuss, The Slow Regard of Silent Things. This is apparently a 30,000 word vignette, focusing entirely on one character from Rothfuss’s Kingkiller Chronicle. I recall this character, Auri, having qualities perhaps justifying the MPDG tag I’ve heard her labeled with (minus being the love interest?). It’s been a while since I’ve read the book, but the M, P, D, and G characteristics each stick, I think. Anyway, as usual, Rothfuss’s prose glides along, and this seems to be a nice, atmospheric piece. 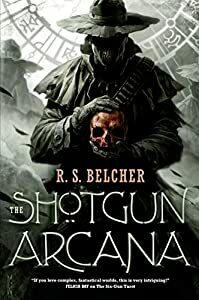 R. S. Belcher, The Shotgun Arcana. This seems to be a grim, Clint Eastwood-style Western with dark magic infused into it, and I could easily envision the opening scenes on film. It’s connected to Belcher’s first book, The Six-Gun Tarot, which I heard praised last year, so I’ll have to go back and give that a closer look as well. 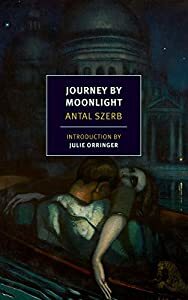 Antal Szerb, Journey by Moonlight. This is a reprint of what is apparently a classic of Hungarian magical realism, but I’d never heard of it, and I was intrigued by the preview. The action has a strange, accidental quality to it, full of minor insights about mutual misunderstandings between ordinary people. Marie Lu, The Young Elites. I think this is the second or third time this year I’ve seen someone putting superheroes int a secondary world fantasy, but I’m all for it. Both are genres I enjoy, and it’s got to work eventually. The preview here is straightforward stuff for YA fantasy, but it’s very readable, so I’m sold. Richard K. Morgan, The Dark Defiles. 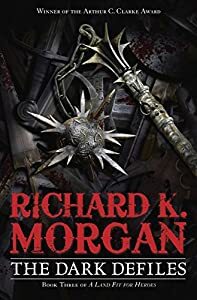 I’ve read a couple of Morgan’s Takeshi Kovacs SF novels, and they’re great, but I haven’t tried this grimdark fantasy series, A Land Fit for Heroes. This is the third book, and there’s a lot going on that is presumably based on earlier episodes, but not much exposition to catch the reader up. It seems to be more about character and action than setting stuff or big ideas, but I gather that mostly from all the characters’ just having fairly lively thoughts or interactions in the opening chapters. Incidentally, they’re profanity-laced thoughts and interactions, but Morgan reinforces them with stuff that better establishes the emotional stakes of what’s going on, if not the larger context. Anyway, I could see myself breezing through this contentedly. 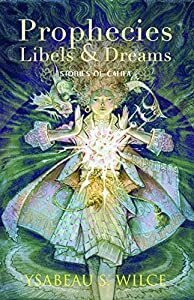 Ysabeau S. Wilce, Prophecies, Libels & Dreams: Stories of Califa. Wilce is well-known for her Flora novels, a series for middle-grade/early teen readers. 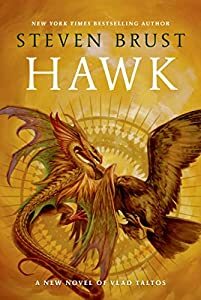 These stories seem to be set in the same world, a sort of steampunk California with more Aztec influences than in our universe. 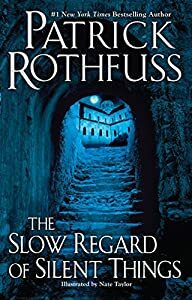 The first one has more bombast and “falder-a-oo” to it than I’d normally like, but I appreciate it when writers push things a bit, and I also saw potential in the setting and the fictional afterword to the story. Tom Reynolds, The Second Wave. 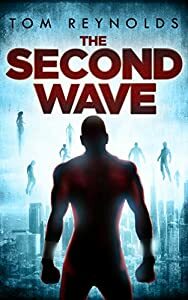 Only reading the preview, this strikes me as a straightforward, chatty superhero novel offering a first-person perspective on fairly archetypal superhero situations. And since I like superheroes and this seems pretty readable, I’m interested. It’s the sequel to Reynolds’s first novel, Meta, which I’ll have to check out further. Brian Ashcraft & Luke Plunkett, Cosplay World. 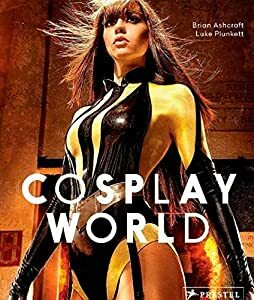 I suspect good cosplay photos are among the very easiest of things to find on the web, but this book appears to collect a bunch of older examples, placing cosplay into the larger historical context of costuming in fandom, which is interesting.